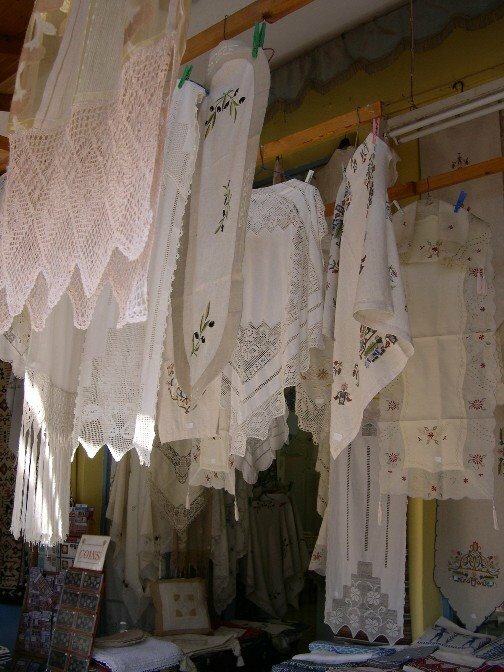 Crete used to be a place that was well-known for its textiles, but, unfortunately, like everywhere else, it has some mass produced linen stuff for sale everywhere. However, it's very pretty stuff. I was able to resist it by imagining red wine and barbeque sauce stains, and I turned away from these linens immediately. Wow. At least I am now in touch with my inner slob! 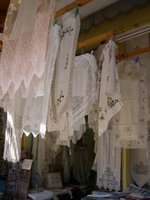 Since I wanted to see some handmade things, we went to Moni Kaliviani, to see the nuns' handiwork. My favorite part? There was an older Greek Orthodox nun in the corner of the shop. 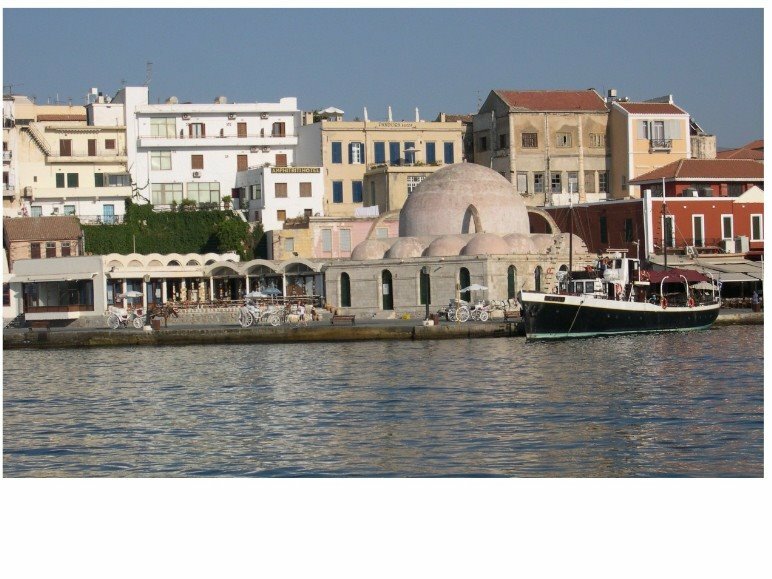 Her habit looked a little like a chador, which shows the Muslim influence in Crete again, all these years later. 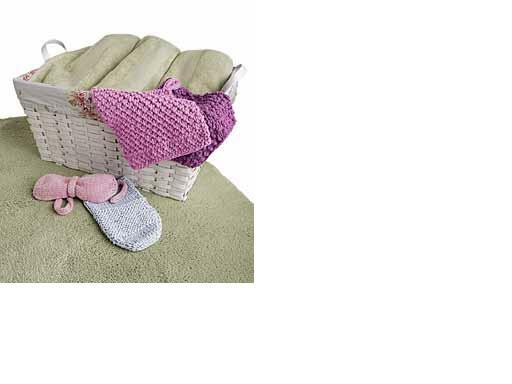 She was knitting, casting on with mustard colored wool on dark wooden needles. I pulled out my sock knitting from my bag, and we shared a big smile. Knitting=the international language! On the way out, we visited with some sheep. 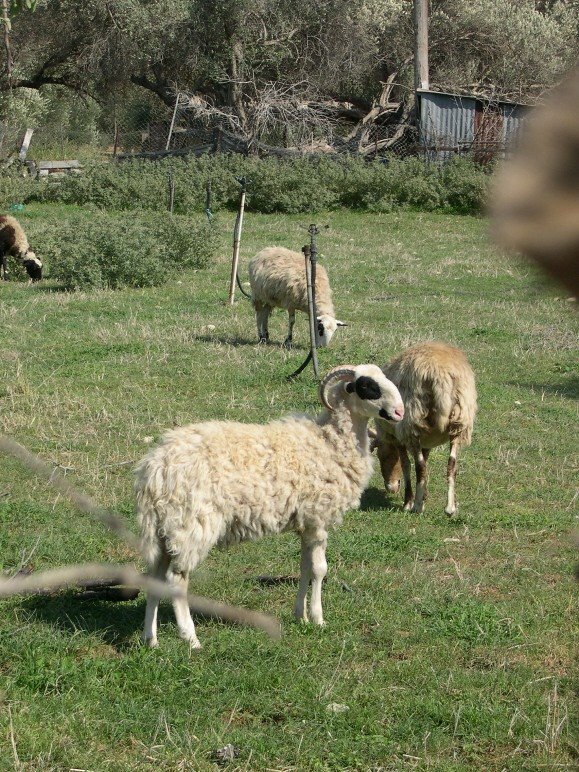 The Cretan sheep seemed to be some sort of primitive breed and they reminded me a lot of Icelandic, Jacobs, or Shetland sheep. I suspect they have a dual coat, some had horns, some didn't, and some were spotted or dark colored. Genetic diversity for you--on an island which probably hasn't seen many sheep importations. I'd love to know more about these sheep. Oh yeah, they also taste very good. Can anyone help? 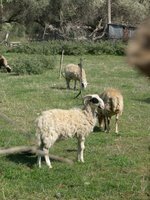 Know anything about these sheep? Finally, I should mention the fresh and amazing Cretan salads and produce. We ate a version of Middle Eastern salad nearly every day, interspersed with Greek salad. Basically, lunch and dinner every day, we ate some salad, which is a lot like our diet at home in the summer time. When we got back to our garden at home, I discovered we were in the middle of a cucumber explosion. Luckily, I haven't had to break my salad kick, although the tomatoes aren't quite as plentiful as these cucumbers. (or maybe, I can just eat more of the 'maters without getting sick?) 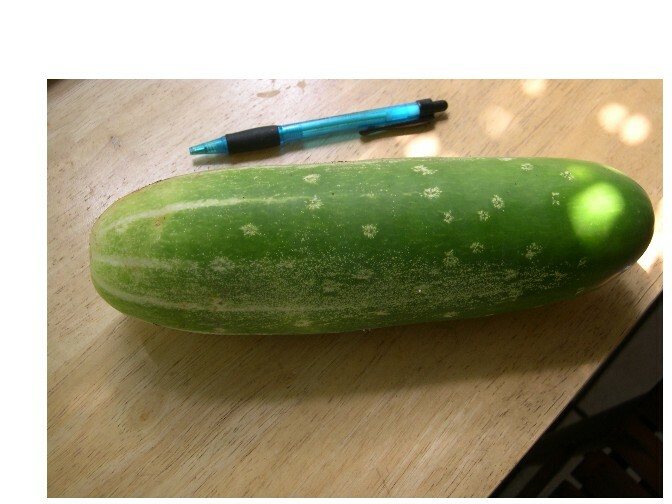 Here's one of our homegrown cukes. Impressive, huh? Drop me a line and let me know if you're enjoying this..drawn-out...vacation thing. I'm still trying to pretend I haven't come home, perhaps? 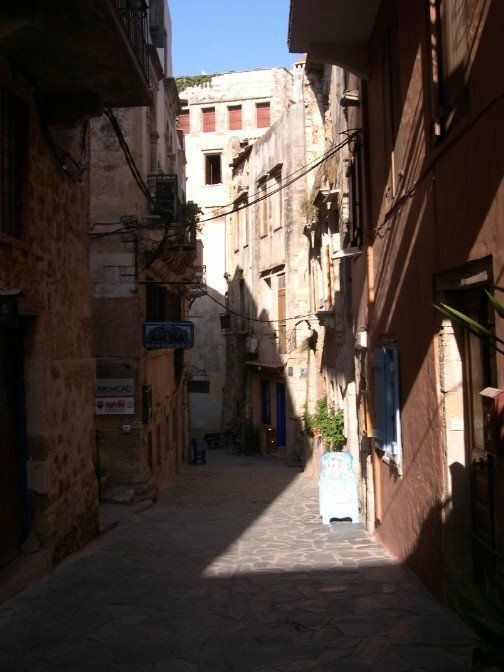 Let it not be said that I traveled to Crete and didn't look for yarn. Of course I did. 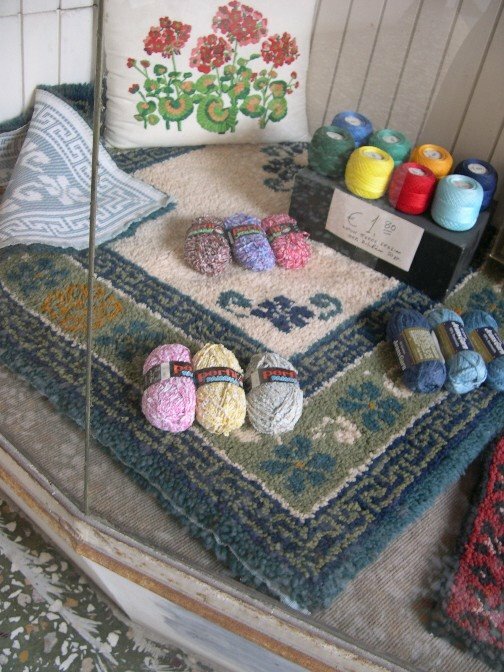 Lisa lived in Chania for a year and gave me tips about the yarn stores. I ended up buying some lovely Aegean blue and Sky blue DK weight cotton yarn in one of them. 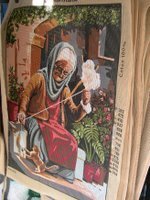 Near the yarn shop, there was another needlework shop with painted needlepoint canvases on the street. 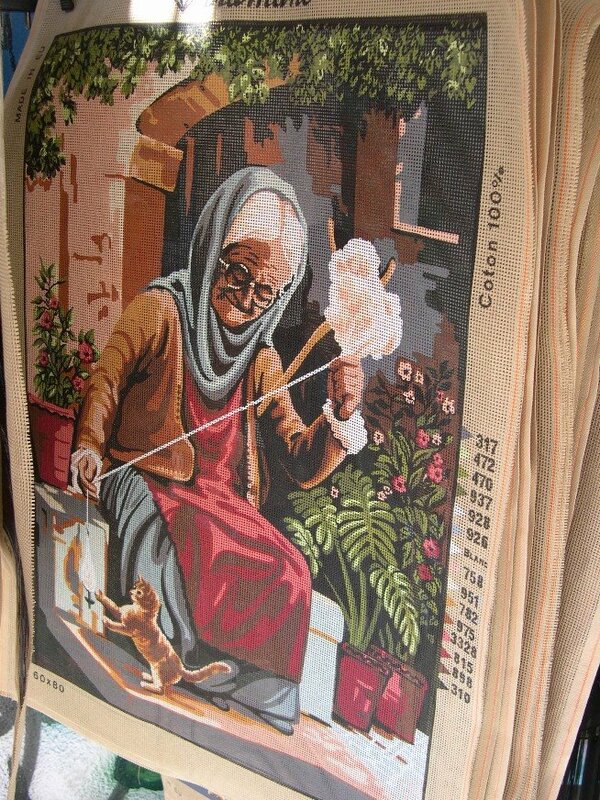 I saw this there and for just a moment, I wished I was patient enough to do such a big needlepoint canvas. I came to my senses quickly (what patience? 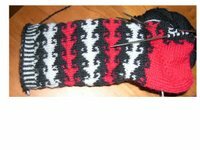 I knit socks, isn't that patient enough?) and walked on through the town. 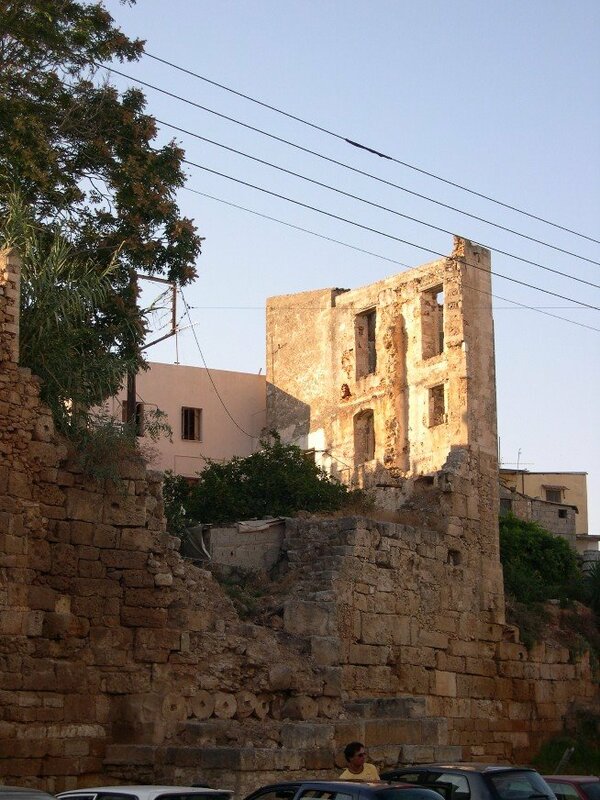 This ruin was right across the street from some shops and you can see the car parked right at the front of the photo. Just every day scenery? 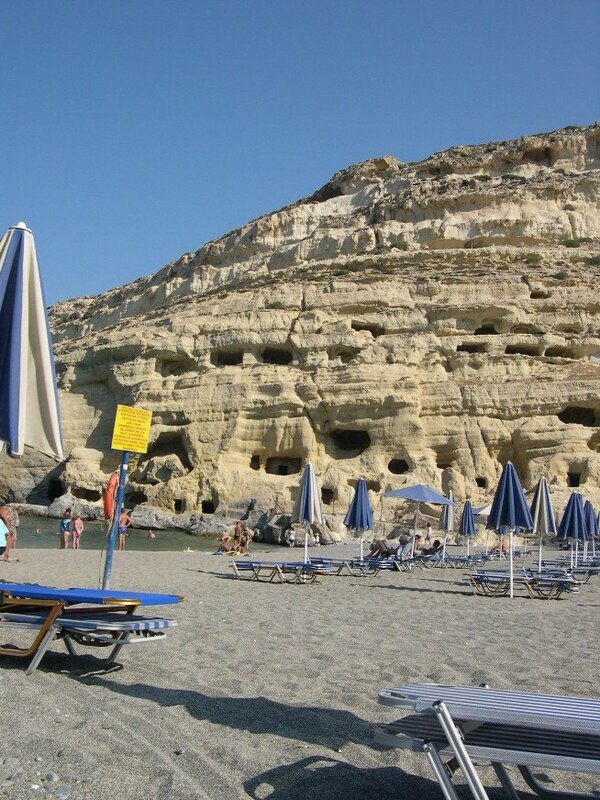 Then, we traveled to Matala. This is a beach resort which used to be a smaller fishing community. 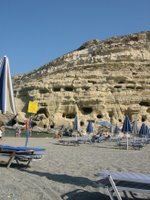 However, they have these very interesting artificial caves, carved out of the cliffs by the Romans and used for tombs. The hippies discovered them (including musicians like Joni Mitchell) and in the '60's, they camped inside of the caves. Eventually camping in the cave tombs was outlawed and the caves by the beach became a park that one can explore. There are apparently other caves, and people who still dwell in caves near by. We swam in the Libyan sea and lasted only about an hour on the beach. Then the man who charges for umbrellas came by and instead of letting us pay to rent an umbrella, he chased us off. We went to explore the caves then and gave up on the beach. Greece was having a heatwave (40 Celsius) and anyway, my spouse gets sunburned and bored quickly with the beach! I'm back! Crete was fabulous. The only negative thing I can say is that it is just too far away from the U.S.A.. If we could just get Greece a little bit closer, I'd be there all the time. In fact, there's some concern in our household that I might move. Only thing holding me back is that I think the plane trip would be too long for Harry and Sally... 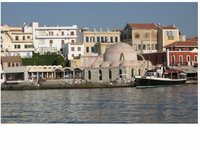 Since I have lots of photos, and Crete is beautiful, I will post a little bit of explanation each day or so with some pictures. This way, I can still think I'm on vacation and you can vacation vicariously. We walked through an alleyway to the harbor. Here's the view of part of the harbor, which is mostly lined with restaurants, gelato places, and touristy shops. Check out the dome in the skyline--this is the mosque, built during the Turkish (Ottoman) occupation. It's now a big pottery workshop. The most fascinating thing was to see the layers of history in the every day guts of the towns--ruins were alongside modern buildings, tourist shops were on the ground floor of buildings with abandoned and wrecked upper stories, and the exposed walls of old wooden frames with mud (wattle and daub) construction were like a historical lesson in building if you looked. 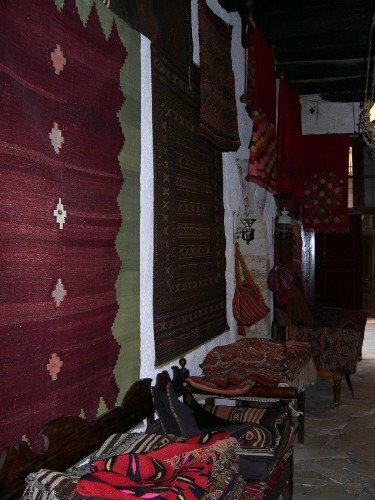 This is the inside of a shop along one of the alleys, filled with traditional handwoven kilims..this is what many of the shops used to look like. 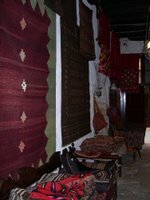 This shop is owned by Kostas Liapakis I want the kilim on the left. Our first day, we purchased some handmade Cretan knives from a local craftsman who showed us his tools and signs his name to each knife. We ate inside at Tamam, a restaurant built inside an old Hamam, or Turkish bath house. I'm still pretty jetlagged, so I'll add more another time. For photo buffs out there, these are my photos from a digital camera. We also used a couple of film cameras, and those photos will be added to the mix as soon as they are printed. More textiles, more scenery, and more food soon, I promise! We are leaving soon to go to Crete, to Chania and to Matala in particular, as well as Kolymbari (in the photo) and I am getting very excited! 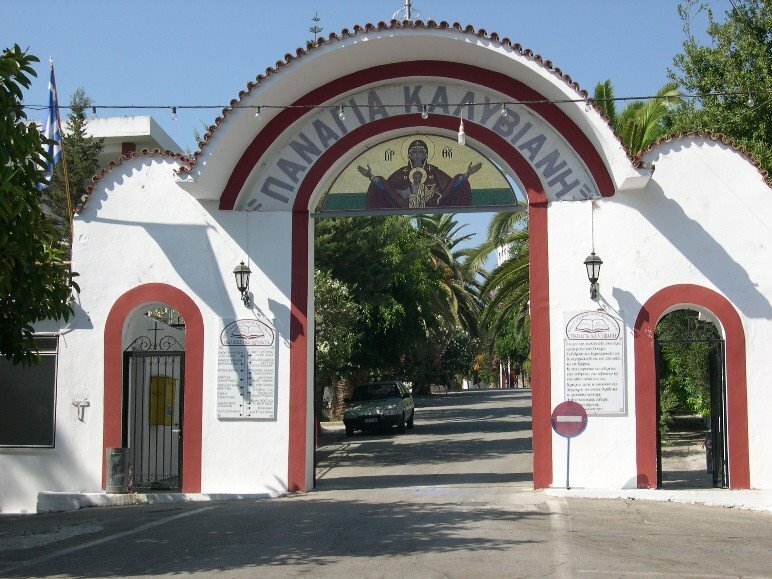 I've been trying to visit Greece, off and on, since 1994. That's a long wait. I'm also removing all lip balm from my carry-on luggage, but that's another story...I'm very keen on those British spyguys who foiled this plot and kept us safe. Thanks, spyguys! Now, on to the recent drama chez Seiff. Last night, we're watching Mystery on PBS, minding our own business, when the room starts to smell, uhh, scorched. Stinky burny plastic. We start running around, trying to check on the air conditioner, all the big appliances, etc. We unplug everything in the living room. Then my smart spouse says, "You know, we're going away. We don't want the house to burn down and don't want the housesitter to have to deal with this!" We live in an old house in a neighborhood with a lot of old houses, they burn down with some frequency. Husband suggests that we call the nice guys at the fire department. I leash up the dogs and wait on the lawn. Three minutes later, with sirens and lights flashing, 4 buff young firefighters hop out of the truck and troop into the house. I wait on the lawn. They use infrared sensors and other cool tools to determine that we aren't having any electrical fire in our walls. They suspect it's an appliance of some kind with a frayed cord...and they suggest we test things out until we figure out what is. They say, "Hey, don't hesitate to call us back if you need us! This is what we're here for." This is the fastest public service, by the way, I've ever had in our town, a great show of our tax dollars at work. Perhaps in the future, I'll try calling the firemen first whenever I need something, like, say,the police or some other city service. The firemen here in Kentucky win the speedy, responsive and friendly award. Meanwhile, I visited with the neighbor, whose children petted Harry and admired the fire truck. Sally nervously clung to my leg and sat at attention like a trooper. We tested out everything in our living room, one thing at a time. We think the culprit is a halogen lamp, which we will throw away in pieces to prevent someone else from taking the free lamp and possibly burning their house down instead. This is truly a happy ending story. No fire, no scary scorched smell, and..our library gets the Mystery! series on DVD so we can just watch that another time. 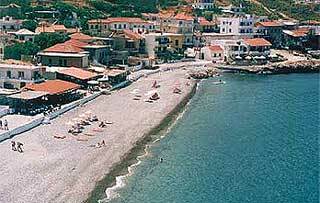 Gosh I sound like a fuddyduddy...but I'm a fuddyduddy who is finally going to Greece! Last, but not least, I offer you a little going-away present! I promised photos of Heart's Ease. 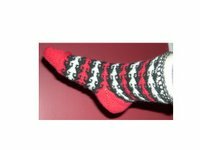 This is a new sock design that I'm working on, based on a Turkish stitch pattern...I'm thinking a lot about how one's heart is eased, through times of war and illness. It's a hard time in the world, and my heart goes out to all those who are losing their families, those who are refugees, or who are spending their 4th week in a bomb shelter. Just recently I heard of a high school classmate, an acquaintance, who died under missile fire in Lebanon. I found this two color repeat a mesmerizing pattern and something of a comfort as I thought about him and about all the others who are struggling this summer. I'll be posting it for sale on my website when it's done. I've finished one sock, but I need to work through writing the pattern. You may notice that this sock fits very snugly on my foot--it's hard to put socks on in this heat! It's still hot here; 98 today outside. Inside my house, it's somewhere in the 80's. Sivia asked to see what (It's A) Boucle Wrap looks like--here it is! The free download will be up on my website soon. I'm very excited to say that I will be away from the computer for a while as I take a vacation, so Heart's Ease might not make it online until I get back. Please leave me a comment if you're a regular reader--it's been so quiet lately! What do you think of Heart's Ease? Bacchus in the Bath available! I will be posting more neat knitting stuff later this week, I hope...I've got some interesting stuff in the works. The steamy hot weather and high amounts of weed pollen have finally caught up with me and I've had some asthma trouble lately. I've spent a lot of time in the coolest corner of the couch, knitting quietly and drinking caffeine. On the national news, they keep mentioning that the weather has "broken" but around here, it hasn't. Our temperatures hit the mid-90's or higher most every day, with lots of humidity and heat indexes up to 108. I feel like I'm being a wimp about this, but I can't wait for fall! It's hot and it dulls my brain...kind of like "Stupify" in Harry Potter, if ya know what I mean! On days like this, I recommend--salad. In the comments here, we were all talking about what kind of salad this is...so I shot a photo. Now, bear in mind that I didn't peel the cukes from the garden because the skin was still so tender and sweet. (most people peel) Husband thinks that maybe I snuck in a yellow squash by mistake, but no, I think it's just a cucumber with yellow peel. Honest! I'm not making people who hate squash eat it--not me! 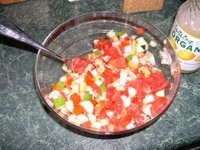 A runner-up to salad is homemade salsa. Today I made 11 cups of it! A friend mentioned that maybe I should be giving out recipes with all the food I post, and I will, someday. The truth is that I'm sort of an off the cuff innovator. I enjoy designing and cooking enormously, but I find the notetaking a little annoying and ponderous. This salsa recipe is based on a tomatillo recipe that was on the back of a box of canning supplies. I substituted some tomatoes because I didn't have a lot of tomatillos. I used fewer chilis, for a "medium/hot" heat...and lemon juice because I didn't have lime. Most of my recipes are like that. Good mostly, but changeable. Harry's adventures for the week have included showing me the carcass of a very disgustingly stinky dead squirrel. (Lucky me, I got to remove it.) Last night, he brought a baby 'possum right up to the back patio. I screamed. I am not enamored of 'possums, alive or dead. My beloved dog Lucy, may she rest in peace, loved to kill 'possums. It must run in the Seiff adopted dog family gene pool or something. I thought the 'possum was dead or injured but as soon as Harry dropped it, the husband tried to remove it with a shovel. It was alive, with only slightly matted down fur. While attempting to get it over the backyard fence, it reached out while soaring through the air and attached itself to a tree. Baby 'Possum 1, Harry the dog Seiff--0. Last night (before the 'possum adventure), we had a photo shoot. I am hoping to post a *free* pattern to my website soon, because summer pattern downloads are practically non-existent...and I'm hoping to boost business. Here's Harry helping me with the modeling. This will be for a stole I mentioned back in April. 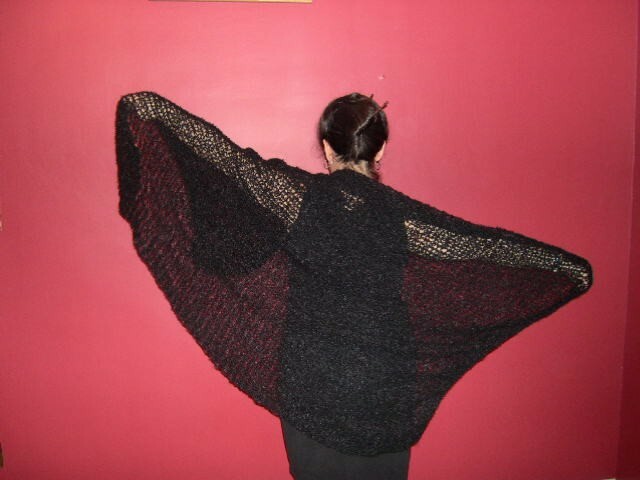 I am thinking of calling it: (It's a) Boucle Wrap! What do you think? What's the difference between a stole and a wrap, anyway? 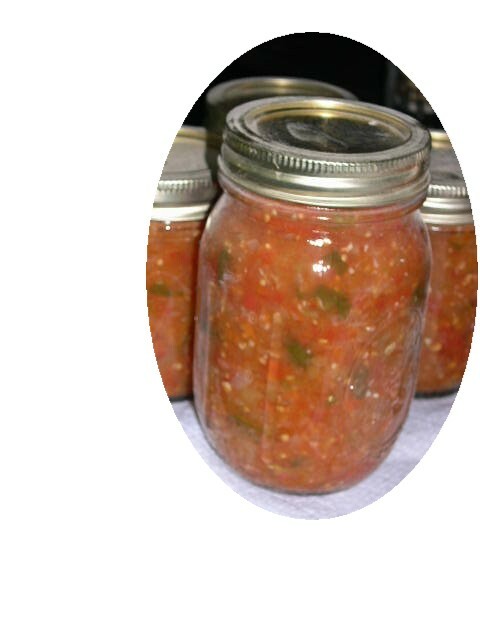 I'm working on a sock innovation, much like the salsa, above. A little bit of this, a little of that... It is inspired by Anna Zilbourg's book and the Heart's Crook pattern, but I'm not doing a traditional Turkish sock, so I'm only thinking about her pattern. I like how it thinks of the traditional heart shape, and then makes it less cheesy, more like the way I feel--that the heart is full of nooks and crannies, with affection even for 'possum killers like Harry. Blogger's not letting me post another photo, so I'll save Heart's Crook for another day. Stay cool.